Setting up camp at Word of Life in Hudson for GTD's annual IGNITE Retreat!! H - O - M - E - O - W - N - E - R !!! 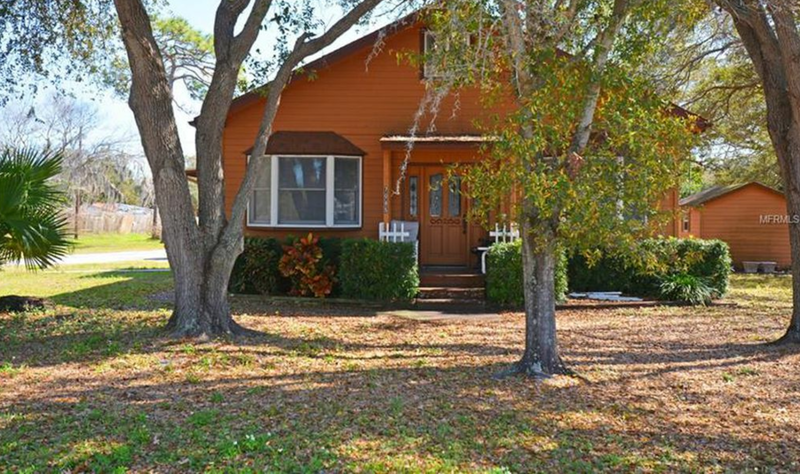 Praise God, today I closed on a little 63 year old fixer upper dream (to me) home! It's a 1955 Bungalow on 1/2 acre in Pinellas Park, FL. It's 1750 sq ft (including nearly 500 sq ft of a somewhat finished attic conversion). 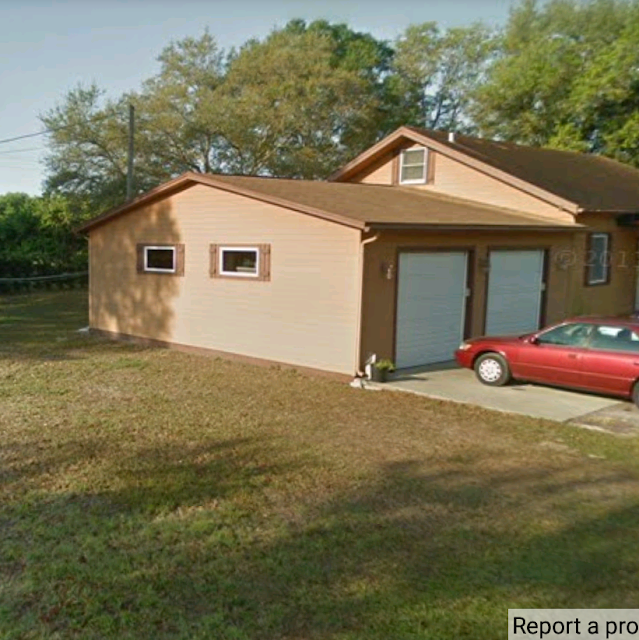 It also has an 850 sq ft workshop / garage. Basically it has all the ingredients for all my needs. Of all the 30+ homes I visited this was the only 1 that my heart leaped at. As my awesome Real Estate Agent, Debbie Schmidt, said, "Your heart finds the home then after that it becomes a business decision." I loved that gold nugget of advice! This has been a wonderful learning experience and spiritual journey. Every time I prayed about this house God kept telling me to keep moving fwd regardless of any legitimate concerns. I've been at total peace about whatever happens. If I get it - GREAT! If I don't - GREAT! I personally loved the house. 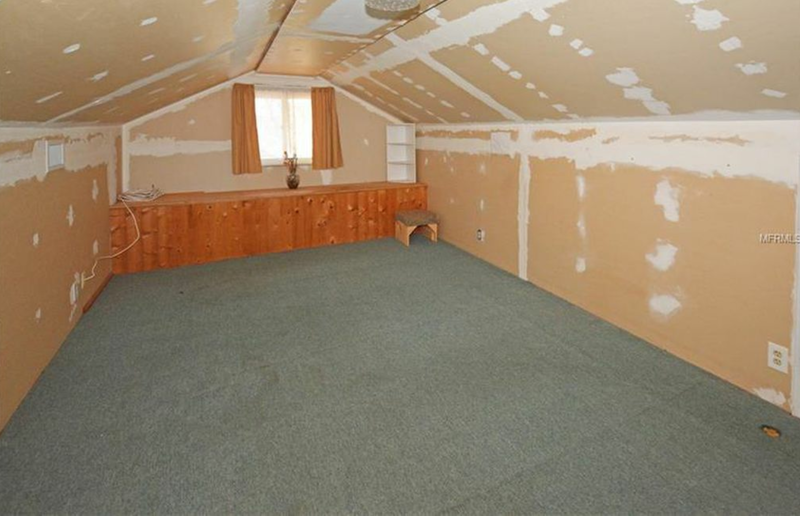 I personally wanted the house. But more than any of that I want to be wherever God is at... even if that's without the house... or in the house with termites... or whatever =). It has been such an awesome journey. I'd move fwd then come to a stop sign. I would pray about it and God would say, "It's only a STOP sign. It isn't a ROAD CLOSED sign. Stop at the STOP signs, acquire knowledge and wisdom, seek wise counsel, inquire of Me, use discernment, wait for the traffic to clear, then proceed fwd." It has been such a wonderful spiritual journey. Each STOP sign ended up reducing the price more and getting needed things done or scheduled. I started to like the STOP signs hahaha!! I've made a very humble salary for many years so it looked like I was going to need my Dad & Mom as a co-signer in order to qualify for anything larger than a refrigerator box. My parents didn't hesitate when I talked to them about it, but I didn't want to go that route and expose them to any kind of risk. And at 47 years old I really wanted to take on this responsibility without a co-signer. I have a humble salary, but I have very few bills. Thankfully, in the end my AMAZING Lenders - Adam & Heather Zima of Champions Mortgage (BEST Lenders EVER!!) 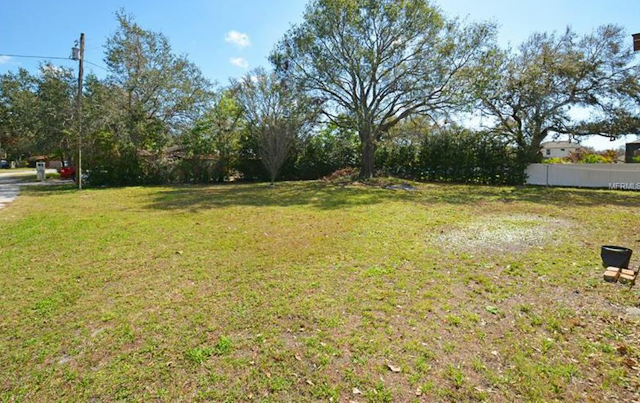 - worked and worked and worked with me so that I could qualify for this loan on my own. I've known them for many years and I was beyond blessed to work with them on a professional level. I can't begin to explain how great they are at what they do. They literally make dreams come true! I have so many people to thank who have patiently taught me so much about the complex process of buying a house... the single largest purchase in most people's life. I especially want to thank my brilliant cousin, Dana Ward, who coached me through the whole process and helped save me thousands of dollars (as well as a few mistakes). From the moment I received the news 6 months ago that I had to move from my current location I was filled with an inner confidence and anticipation that this was a God thing. I was eager for this challenge. I wanted this fight. I wanted to contend against all the hurdles that were in front of me as well as overcome past personal limitations such as a small history of hasty decisions, reluctance to ask for wise counsel, a tendency to lose balance by becoming too absorbed with the mission (I never missed a workout or a Sabbath with my mom or strayed from my nutrition plan or overworked or turned down an opportunity to take my Dad to the Dr's). This journey was so much more than buying a house. It was a hundred different challenges within the time consuming process of finding a home. I wanted all of these challenges... every last one of them... and if the closing fell through today I was ready to rejoice for the next round in this heavyweight fight and return back to the drawing board. But, glory to God, it appears that I will be heading on to the next phase of this awesome contest... the renovations!! 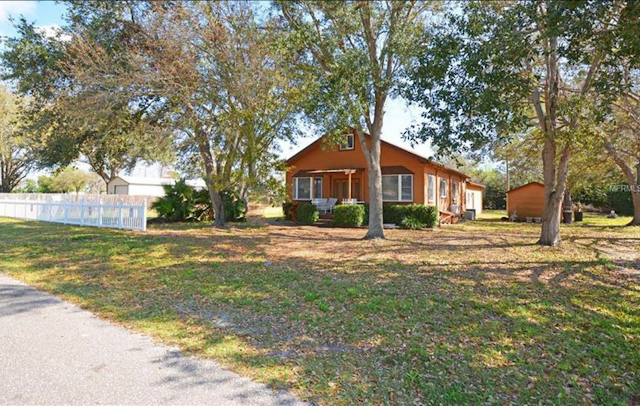 Thank you to my friends and family who have cared and asked about and prayed for this home search and me! I'm forever grateful!! 24 HOURS TILL THE BIG UNVEILING!! Well, I guess it's not actually an unveiling... my possible new house included some free termites hahaha! 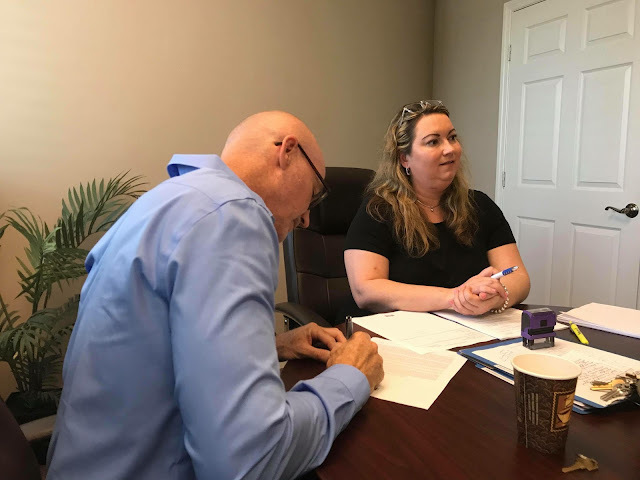 I knew about it a month ago and part of my mortgage lender's requirements was to have the house treated by the seller before closing. 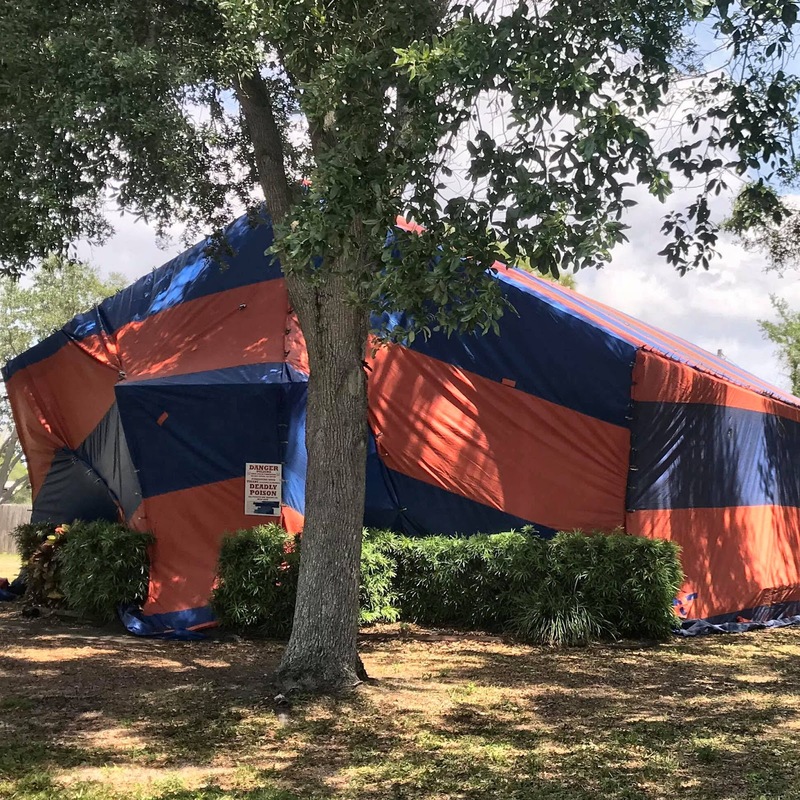 So the house has been fumigated, and Lord willing, tomorrow morning I'm scheduled to close on the house. Stay tuned for updates. I'm beyond thrilled! There are very few easy victories in life. No matter what your honorable pursuit is it will be met with fierce opposition - whether the opposition is from your own avoidance of pain or self sabotaging emotions or an undisciplined mindset or a lifestyle of foolishness - whether it's from an environment surrounding you of low standards, mediocrity, and complaining attitudes - whether it's the devil himself and his minions of dark spiritual forces scheming for your discouragement, depression, and destruction - whether it's a history of poor choices, major setbacks, or inherited generational sins - whether it's Murphy's Law, a malfunctioning alarm clock, or an unexpected health ailment - the reality is that EVERYDAY opposition attempts to rob you of your future by defeating your present. So what do you do? Roll over in your bed? Hide under the covers? Drift with the current? No! You FIGHT! You anticipate daily oppositions from every direction and even the enemy within and you develop a WARRIOR'S mentality. You learn to love to FIGHT! You live for the FIGHT! You run to the FIGHT! Every night is FIGHT NIGHT! You FIGHT for every inch of progress. 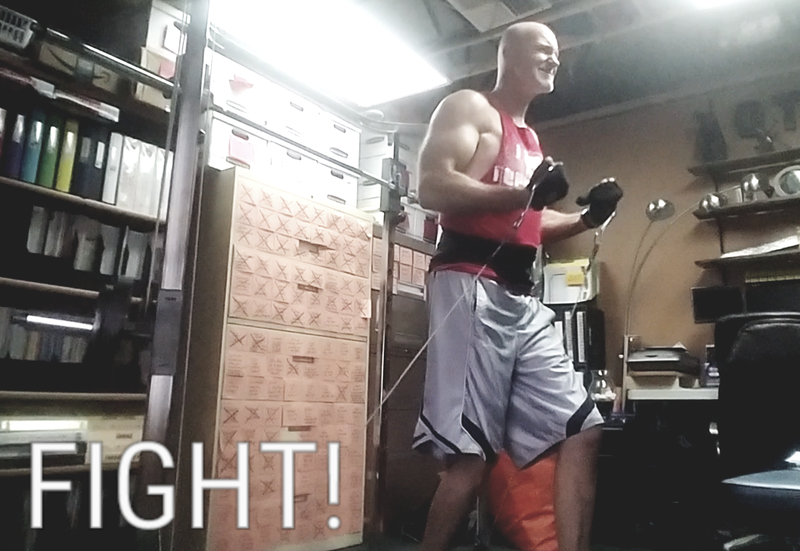 As you train yourself to become a 24/7 vigilant fighter something amazing begins to happen. You stop losing and you start winning. The wins start mounting. You stay humble knowing you are just one foolish decision away from being defeated. And fight after fight after fight you become who God made you to be. You become more than a conqueror. And you keep running back into the arena for the next opponent, the next fight. Does it ever get easy? NEVER! But FIGHTERS don't want it easy!! You have to have a mentality that matches reality. Life is a NON-STOP FIGHT. You FIGHT or you die. For too many people life is just a long drawn out dying process. Don't tap out! Answer the bell! Your alarm clock is the bell! Rise & FIGHT!!! 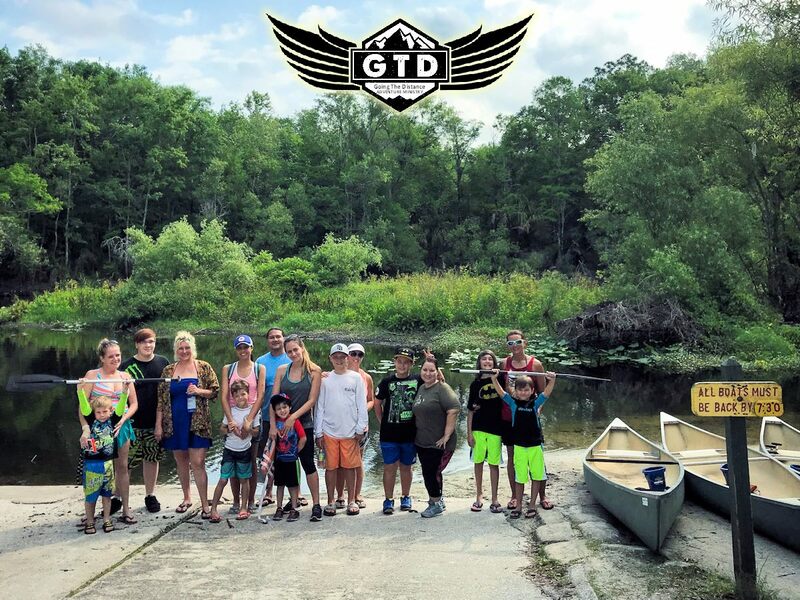 Mothers & Sons Paddle The Hillsborough River! It was a full day of adventure as we paddled with the mother & sons of Relevant Church through an obstacle course of downed trees, spectating alligators, and raw Florida beauty on 4 miles of the Hillsborough River in Tampa, FL. It was a really good day! THE ARK ENCOUNTER WEBSITE IS COMPLETE! 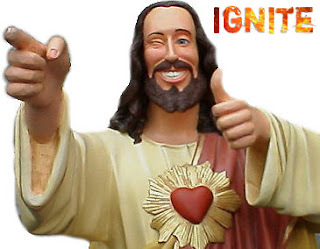 REASON #1 TO GO TO IGNITE >>> JESUS IS GOING!! 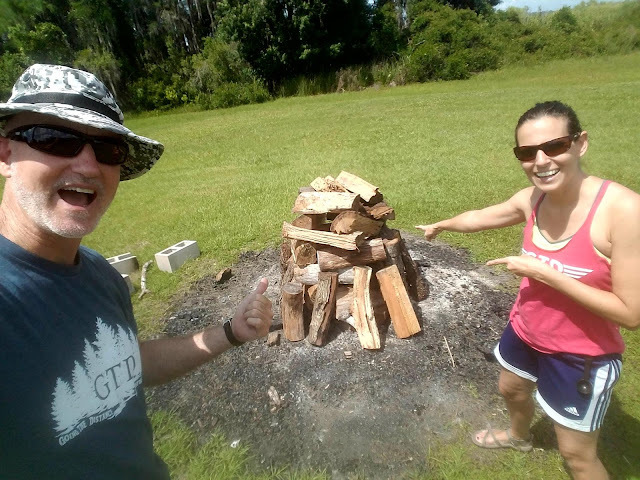 Join us for our annual GTD IGNITE Camping Retreat April 27-29, 2018 at Word of Life in Hudson, FL and let the Creator of the universe - Jesus - REVIVE YOUR SOUL! 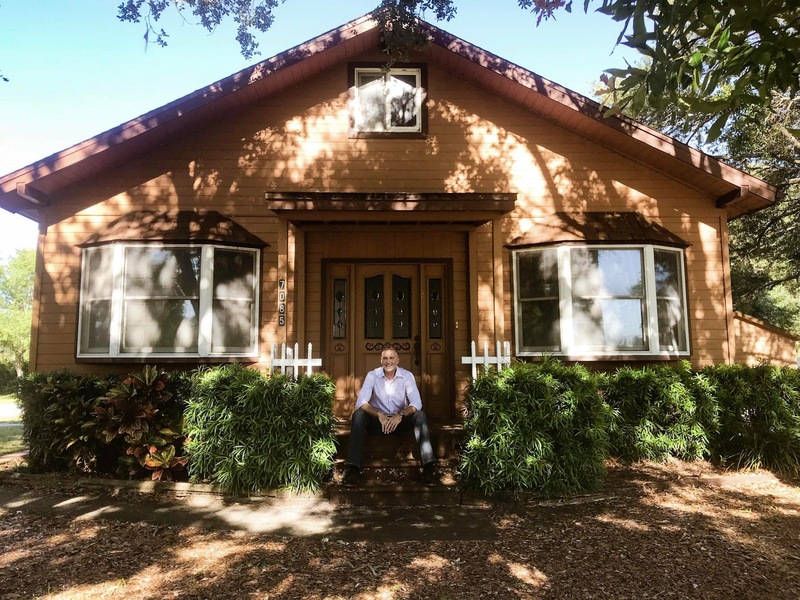 I'm 6 days away from closing on my first house / new GTD office... there are no guarantees... it could all fall through in the last minute or soar through with flying colors... either way, it has been an awesome journey that has already enriched my life in many ways. Sometimes it's easy to miss the enjoyment of the process in a rush to get to the destination. Not this time. Not for me. So much of this was about the journey as well as aiming for the right & best destination. 7 days from now I will either own a home, be seeking a different home, or had some sort of delay in the process. Whichever it is, it will have been prayed through thoroughly, and I will continue to rejoice in the moment knowing that it's all working out to my good and God's glory! Win! Win! Win! 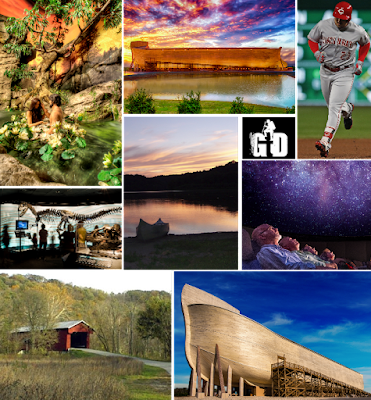 The ARK ENCOUNTER Website Link Almost Done! 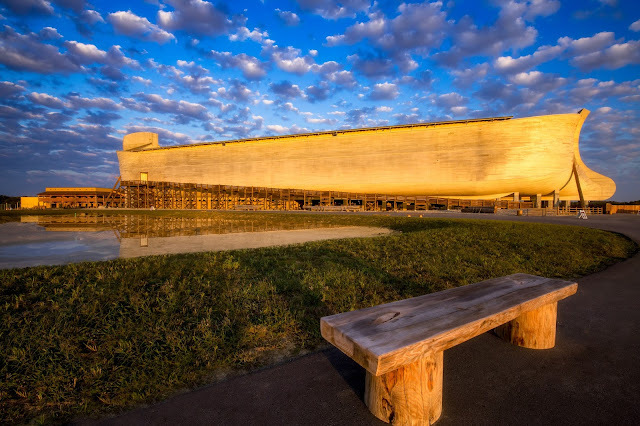 Come join us for an outdoor & educational adventure of a lifetime as we journey to the largest timber frame structure in the world (510 feet long, 85 feet wide, and 51 feet high) - a full-size Noah's Ark!! In-between our daily adventures we will be staying in 5000 sq ft private colonial style mini-mansion! 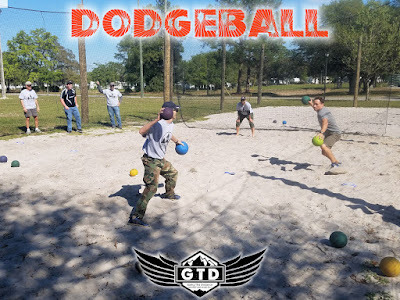 You don't want to miss this NEW GTD Event! - COST: $399/person (or 2 for $748)... Minisitry Partner Discount = $299/person!! Completed website almost done (comment below or message me to reserve your spot). 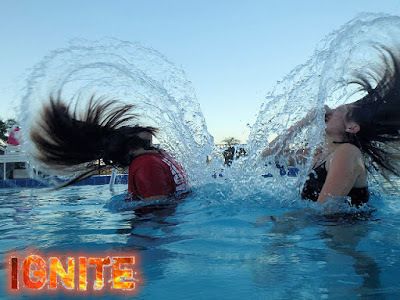 REASON #61 TO GO TO IGNITE >>> SWIMMING POOL & HOT TUB!! 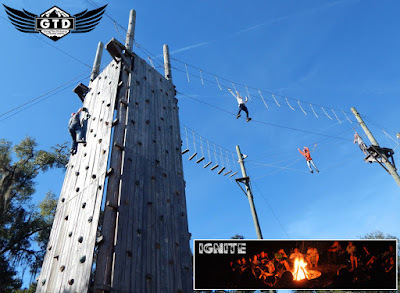 Join us for our annual GTD IGNITE Camping Retreat April 27-29, 2018 at Word of Life in Hudson, FL and enjoy a little refreshment in the swimming pool & hot tub! GTD's 23rd ANNUAL SLAMMED ADVENTURE TRIP!! JOIN US JULY 11-15, 2018 .....TAKE THE PLUNGE! 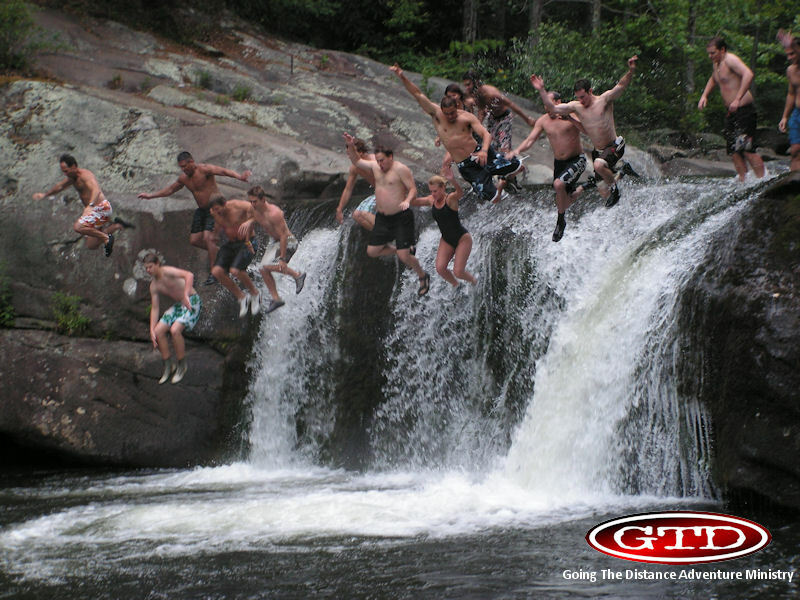 Activities: Waterfall Slide, Cliff Jumping, Bridge Jumping, Rock Climbing, Rappelling, White Water Rafting (optional: add $40), Camping, Daily Devotionals, Campfires, and more! SIGN-UP TODAY FOR THIS GOD-AWESOME ADVENTURE! REASON #53 TO GO TO IGNITE: DODGEBALL!! 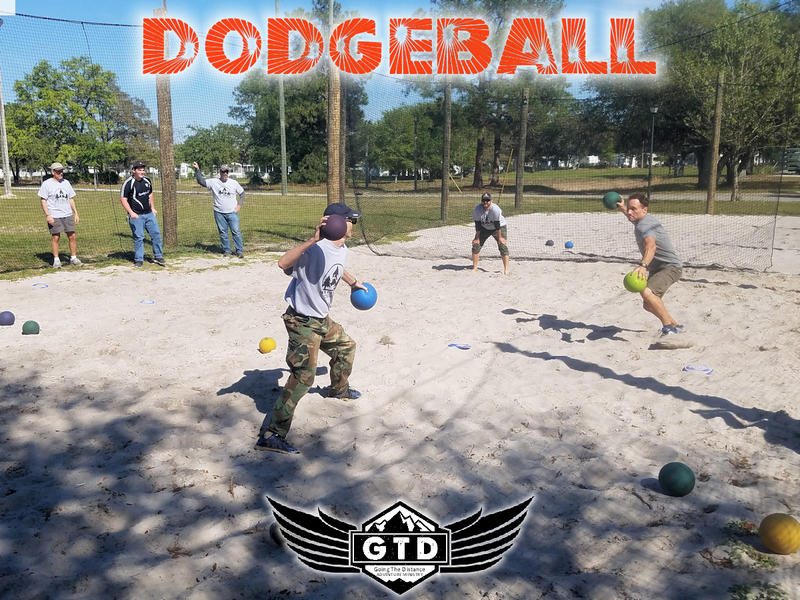 Join us for our annual GTD IGNITE Camping Retreat April 27-29, 2018 at Word of Life in Hudson, FL and play some Dodgeball! 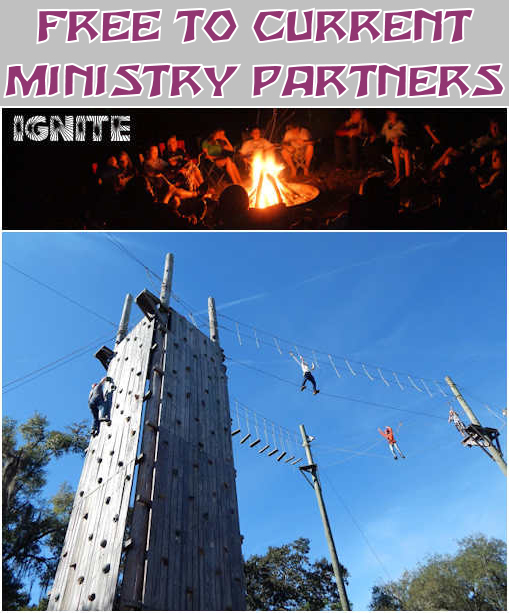 THIS YEAR'S IGNITE IS FREE TO ALL CURRENT GTD MINISTRY PARTNERS!! We are excited to announce that our annual Ignite Camping Retreat at Word of Life in Hudson, FL (scheduled for April 27-29, 2018) is FREE for all current GTD Ministry Partners!! That means that if you have donated $100 or more in 2017 or 2018 OR are a current monthly supporter then you qualify for a FREE Ignite Retreat (for you and your immediate family!). It's a very small way that we can say THANK YOU for the immeasurable impact you've had during our greatest comeback in 22 years of ministry! We would love for you to not only support GTD, but to also come out and experience GTD! Somewhat Limited Spots!! Due to a limitation on equipment, gear, & space we have 50 of these FREE SPOTS available so register as soon as possible!! THANK YOU SO MUCH for supporting GTD! We are so blessed to have you in our ministry family!! 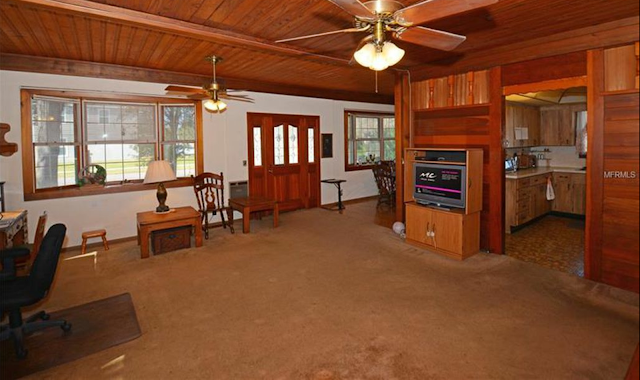 *NOTE: This deal does not cover any optional add-on expenses such as paintball or upgardes to cabins. **Make sure you select the "OTHER" option in the Registration Form where it asks, "How Will You Be Paying?" DISCIPLINE PICKS UP WHERE MOTIVATION LEAVES OFF! "Not today. Not on my watch. We don't make progress when we listen to you. You create regrets. You rob me of my future. You steal my dreams. You destroy my potential. You make me look back at the end of my day and see nothing but wasted time and unused energy. You set me up for failure. The devil doesn't even need to torment me because you're doing his work for him. We're not listening to you anymore. I'm listening to my discipline. I'm developing my discipline. And you no longer rule my life. I get up weather I feel like it or not. I workout weather I feel like it or not. I read weather I feel like it or not. I eat healthy weather I feel like it or not. I pray weather I feel like it or not. I do what I should do when I should do it and how I should do it weather I feel like it or not. I'm taking back the God-given self control I was given and using it the way it was designed to be used. Get out of my way emotions! This life is under new management!" Discipline isn't something that keeps you from living life fully. It's something that God gave us to keep us from squandering our life foolishly. Discipline leads to a fuller richer life. Discipline isn't the enemy. It's actually our greatest endowed ally. If you're underdeveloped in healthy self discipline then right now is the best time to start developing those discipline muscles. Pick something simple you should be doing and start doing it consistently as often as you should be doing it regardless of how you feel (ex: drinking the right amount of water each day while stopping drinking sodas). Develop a strategy and gameplan (ex: Use a checklist & checkmark to track your daily water intake. Get a cool looking favorite water bottle. Give yourself 1 cheat day each week to drink soda. Give yourself some kind of achievement award for sticking to it for 1 month. Etc, etc). Part of the fun of discipline is strategizing and formulating a gameplan to beat your self destructive tendencies. 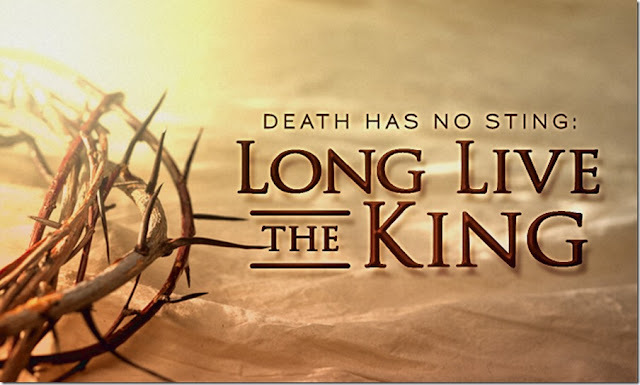 ... How long will you lie there, you sluggard? 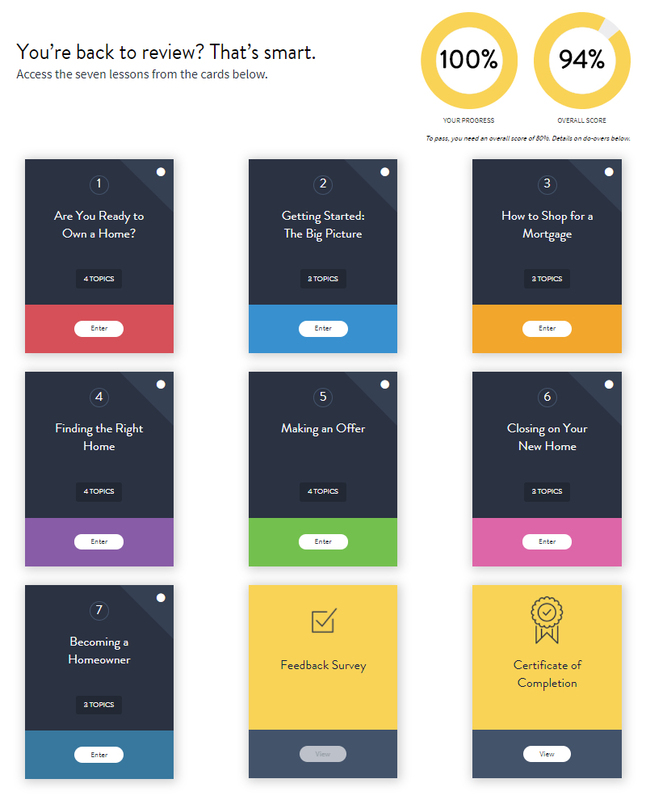 ... the reproofs of discipline are the way to life..."
For the past 4 months I've been learning as much as I can about buying a home. 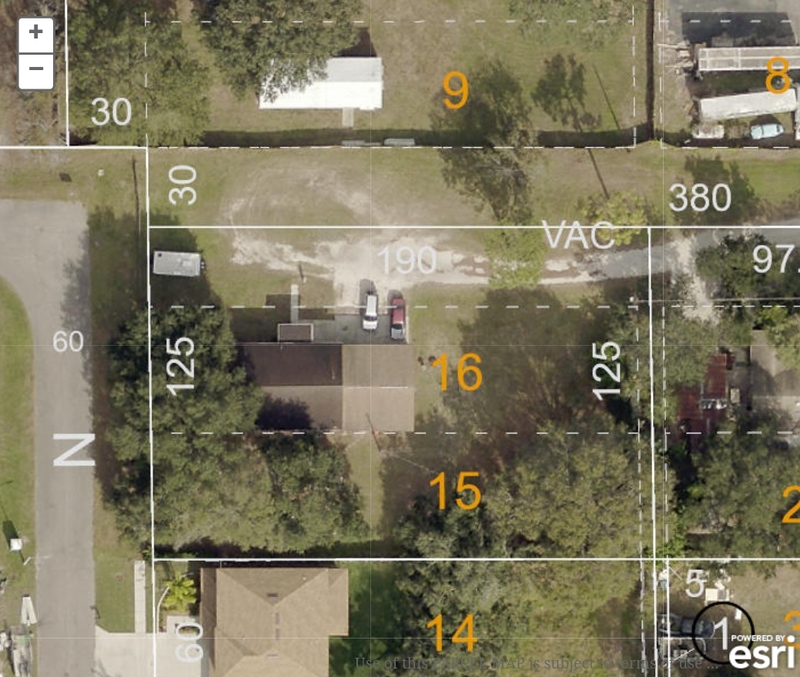 Although I'm 47 years old, buying a home has never been on my radar. So family, friends, and Google have been teaching me so much. It has been a very fun and educational journey! It's also very time consuming. It has been a 2nd full-time job for me. Although the objective is very simple - buy a home... the process is full of complexities and overflows with "middle-men". For most people like me, buying a home is the single most expensive purchase of their/our lives. Thankfully I've so thoroughly prayed about this that it isn't a worry, concern, or source of stress... it's the next part of God's adventure for me and I'm full of eagerness and sober excitement! I want to continue to thank our prayer warriors for lifting this up to God in prayer. I believe that wherever I end up - it will be a great blessing. NEW EVENT ALERT!!! ...THE ARK ENCOUNTER! 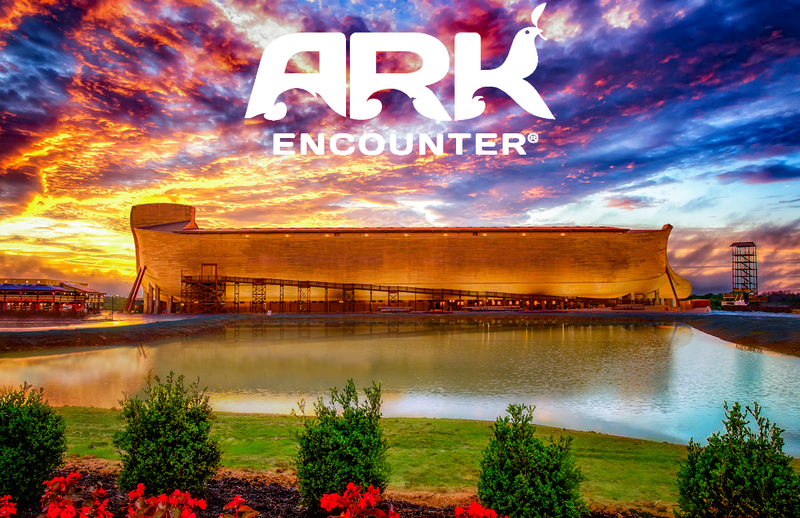 GTD is thrilled to announce that our NEW EVENT & DestiNATION for 2018 is The Ark Encounter in Kentucky! All while lodging in a 5000 sq ft private colonial style mini-mansion! This trip is going to be EPIC from start to finish!! 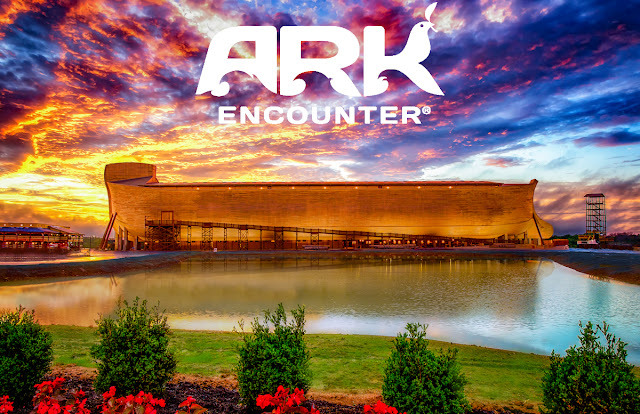 - INCLUDED: Event planning, PLUSH accommodations, transportation during event from & back-to CVG Airport, full-time guides & drivers, rental van, fuel, Ark Encounter entrance fee, Creation Museum entrance fee, State Park entrance fee, kayak rentals, spiritual emphasis, fellowship, and a lifelong memory! - NOT INCLUDED: Meals (you have to eat those days anyways!) & round-trip airfare (or ground transportation) arrival to and departure from CVG Airport. Website with details & registration currently under construction. Contact GTD to reserve your spot(s)!! PS: Special thanks to Pastor Dave Ungar (one of our dear friends and Ministry Partners) for suggesting this destination! We're excited to add it to our list of trips!! IT'S BACK! ...IT'S THIS MONTH!! ...AND IT'S ONLY $35!!! JOIN US APRIL 27-29 FOR OUR ANNUAL ADVENTURE FILLED CAMPING RETREAT >>> IGNITE!! INCLUDED ACTIVITIES: Camping, Morning Devotions, High Ropes Course, Climbing Wall, Zipline, Low Ropes Course / Team Building, Team Sports (such as dodgeball, volleyball, ultimate, basketball), Camp Games, Swimming Pool, Nightly Campfires, Bible-Based Messages, Smores, Outdoor Movie (with family friendly editing)... it's all a perfect combination! GET FIRED UP FOR IGNITE! !